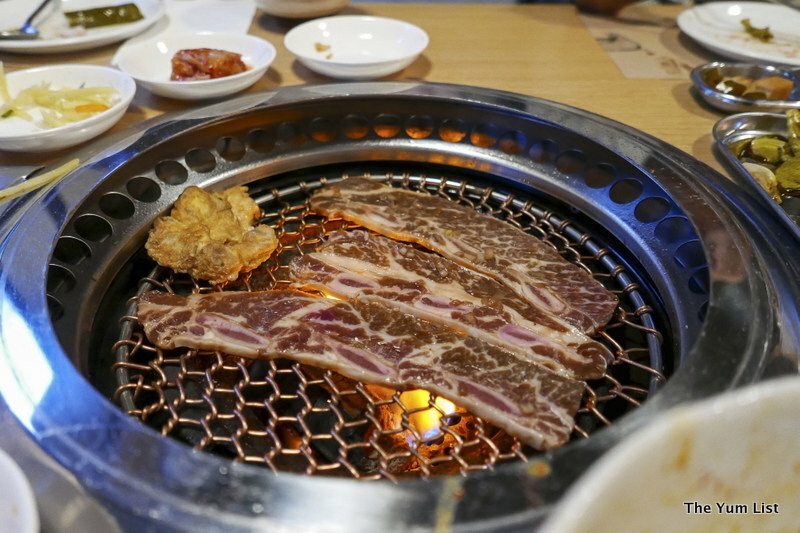 Until last week, I was a Korean BBQ virgin and as it turns out, I couldn’t have chosen a better place to experience this style of eating for my first time. 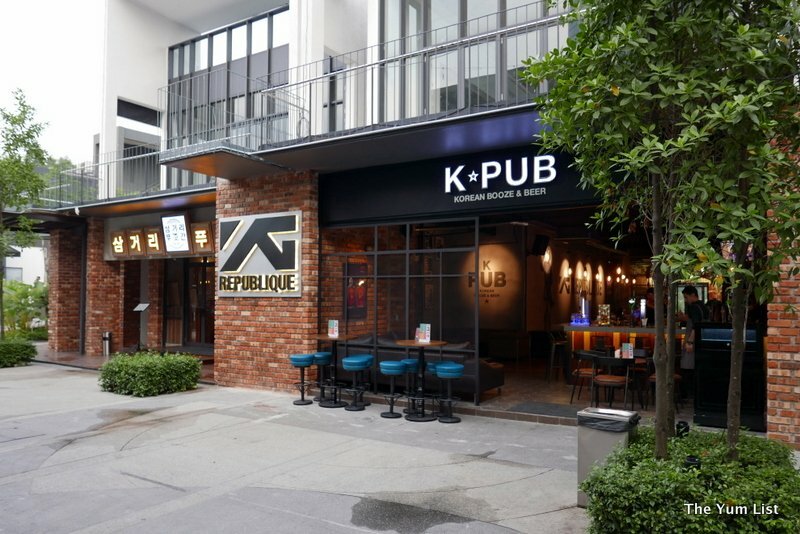 YG Republique Malaysia, owned by the successful South Korean YG Entertainment Inc., is a new concept restaurant at the popular KL entertainment destination, TREC KL. 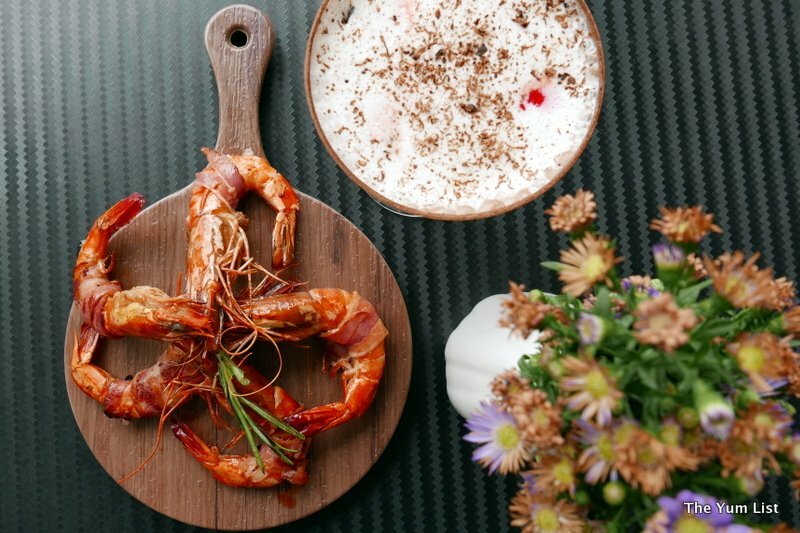 The site is divided into two parts: Samgeori Butcher’s, the BBQ grill restaurant, and K-Pub, serving a variety of beers and cocktails alongside a delectable Korean snack menu. Both the grill and the pub are open until the early hours, meaning that from 6 pm each day you can happily move back and forth between the two, drinking and eating your way through the interesting menus. 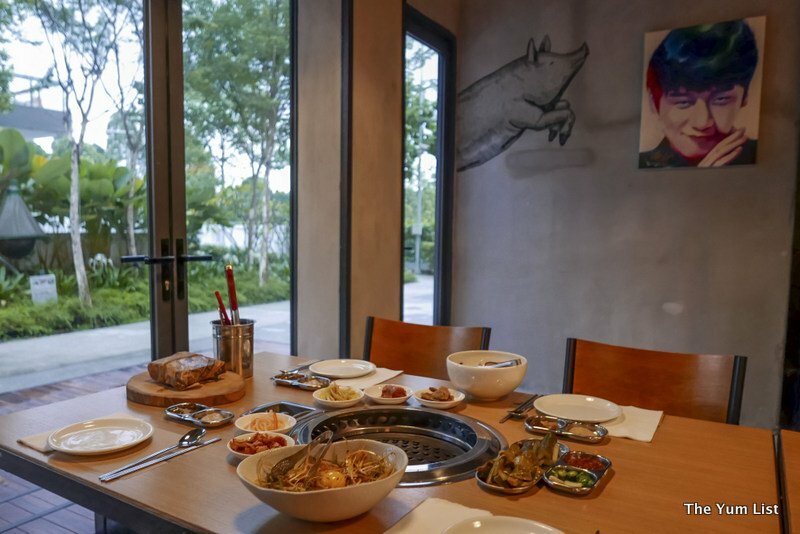 The idea is that customers get to relish modern Korean food in a trendy Seoul setting, whilst listening to YG Entertainment’s artists on the speakers and video screens. The décor of the restaurant is hip and understated. 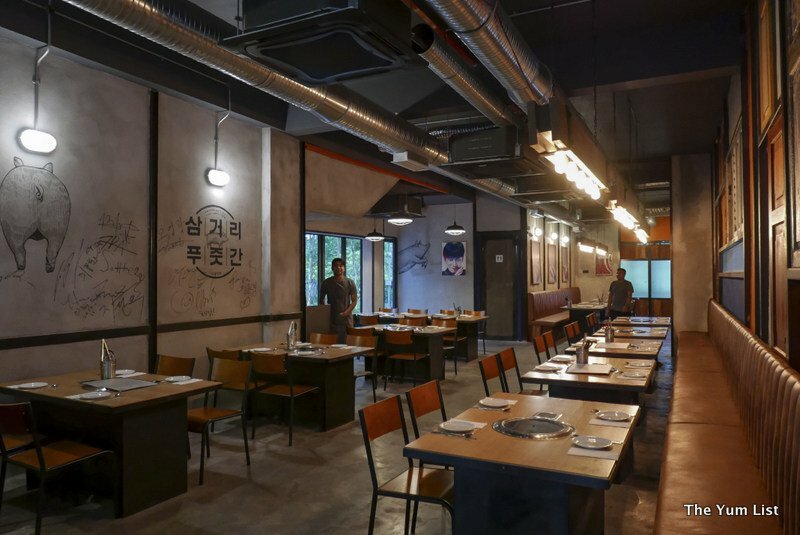 Polished concrete provides the backdrop for a display of reclaimed colourful doors and shutters on one wall, and there are monochrome sketches of pigs appearing here and there on the walls throughout the restaurant, alongside signed portraits and photographs of YG Entertainment’s celebrated Korean pop stars. The highlight of the restaurant interior must be the Meat Aging room, where you can see the delicious meats you will soon consume being aged in pinewood boxes. The focal point of each table is, naturally, the grill. Seconds after being seated, an array of interesting and colourful dishes were brought out, all being important components of the Korean BBQ, and every dish made in-house from scratch. We were being treated to the Butcher’s Sampler Set (RM170 for 2 or RM230 for 3-4 people). The Butcher’s Sampler set for two people consists of three cuts of pork: neck, shoulder and belly. It is accompanied by two side salads and various pickled vegetables, such as radish, choy sum, cucumber, and potato, and strips of fishcake and battered mushrooms to be eaten alongside the meat. In addition, each person is given an individual dish containing two sauces: garlic mustard and chilli with onion and soya. The raw meat arrived at our table wrapped in butcher’s paper which is a fun touch. Our chef unwrapped the meat and showed us which cut was which and then he proceeded to delicately place the pork onto the grill. Much thought went into the design and practicalities of the restaurant and the underground ventilation system from each grill means that the restaurant does not smell of sizzling meat; an appealing aroma when fresh but best that they avoid the whiff of yesterday’s cooked pig fat, don’t you agree?! In fact, you can barely smell the meat cooking at all, which is pretty miraculous. Apparently, this is also down to the fact that it has been cured in pinewood. Knowing what was in store, our hunger was almost getting the better of us when finally the first taste of pork was ready. Our host demonstrated how to wrap the cut of neck into a pickled choy sum leaf. This led to the most fabulous combination of flavour; the bitterness of the pickled leaf perfectly offsetting the sweet fatty taste of the meat. Our only complaint was that we couldn’t eat more and more but knowing this was the first of many dishes to sample and that we should exercise some self-control brought some comfort! 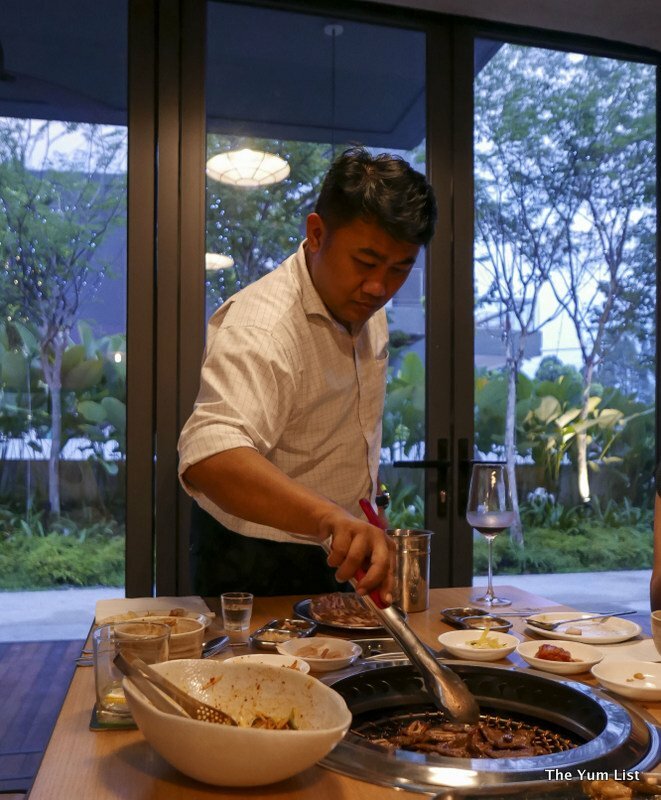 Whilst the shoulder and belly continued to sizzle, we were served the Butcher’s Soybean Paste Porridge (RM35), a bowl of simmering rice in butcher’s soybean paste stew. Also known as a hangover cure, it was easy to see why this hearty and warming soup would be your go-to food when feeling under the weather. The tofu was soft and silky and the chilli definitely woke me up. As an aside, for non-chilli fans like me, the spice level was pretty much at the maximum that I can tolerate yet still able to enjoy. It was time to return our focus to the grill and next, we tried the pork shoulder and belly with the accompanying side salads and pickled vegetables. One salad was a combination of finely sliced raw leeks with a raw egg yolk to be stirred in by the diner and is served with a soya and vinegar dressing. The raw leek salad was fabulously fresh and balanced out any fatty taste in the meat. 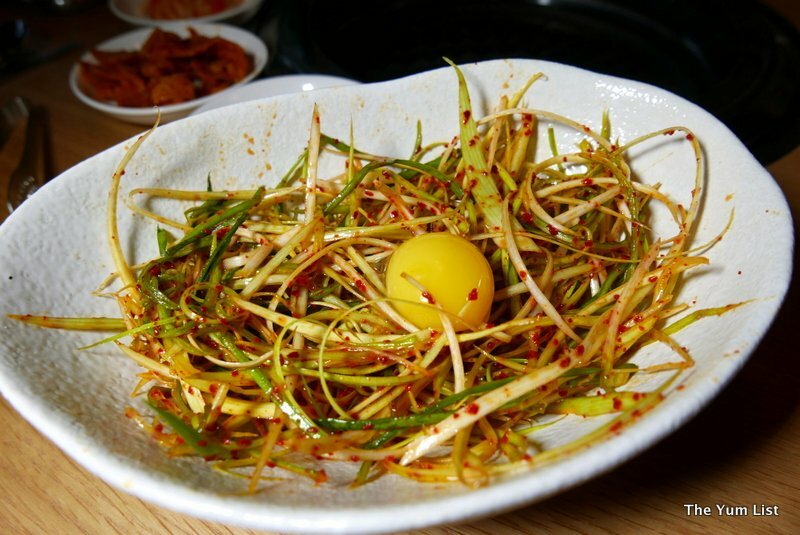 By all accounts, Koreans remain slender in spite of eating fatty meats thanks to raw leek. Who would have known?! The second salad consisted of fresh salad leaves with a mustard dressing. 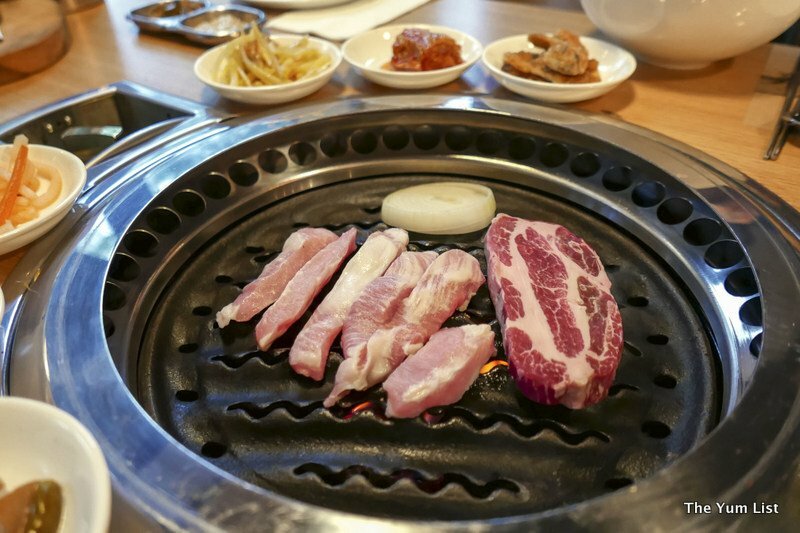 Samgeori Butcher’s focus is on providing premium meat to its guests. The Iberico pork is flown in from Spain and the beef hails from Los Angeles. After our sensational encounter with the barbecued pork, we felt it was our duty to try the beef: LA Rib (RM 75 for 200g). Not that it was a hardship… it would have been rude not to. We were advised by our host that it was best to start with the pork which was served in its pure form and then move onto the beef which is marinated with pear, producing a most delicately sweet result. Apparently, marinated meat alters your taste buds for the remainder of the meal so best to enjoy such flavours last. The beef was so superb we happily ate it unaccompanied but, of course, the pickled vegetable sides team up perfectly with the meat. Our final treat was the Butcher’s Beef Fried Rice (RM35 for 1 or RM75 for 2). 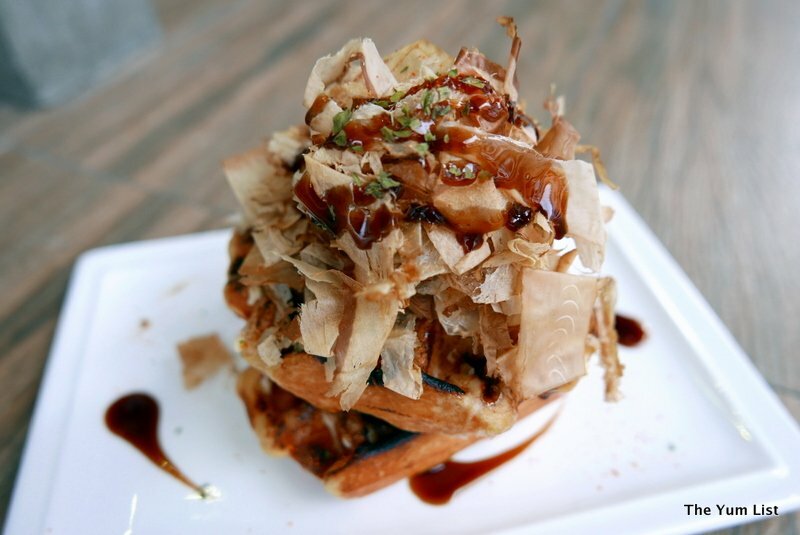 It was virtually impossible to stop eating this delightful dish. 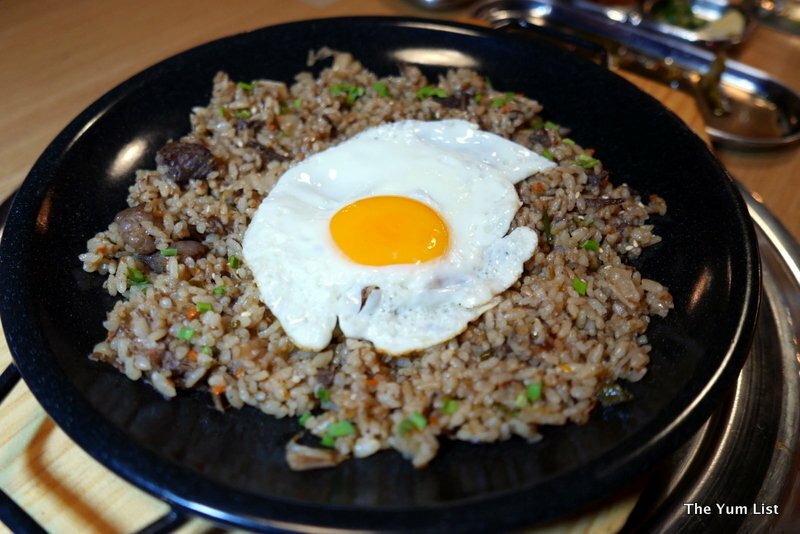 Surprisingly non-greasy, made with Korean rice which comes in round grains, with a fried egg on top, it was the ultimate comfort food without any fatty or greasy guilt! To accompany our food, we shared a bottle of Soju, a colourless Korean liqueur, similar to Japanese Sake but traditionally distilled from rice. There is a hint of sweetness, compared to a spirit such as vodka, due to its lower alcohol content. 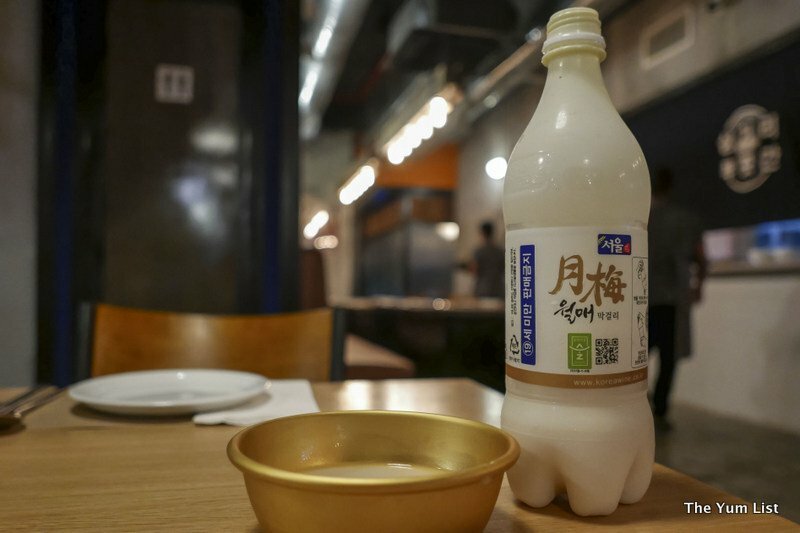 We were also introduced to Makgeoli, a slightly sweet milky coloured drink, native to Korea, with a low alcohol content of 0.6%. We drank this from gold coloured bowls, in the traditional Korean way. I left Samgeori Butcher’s, desperate to come back to experience more of this Korean BBQ restaurant and also with more time to pop next door to the K-Pub. 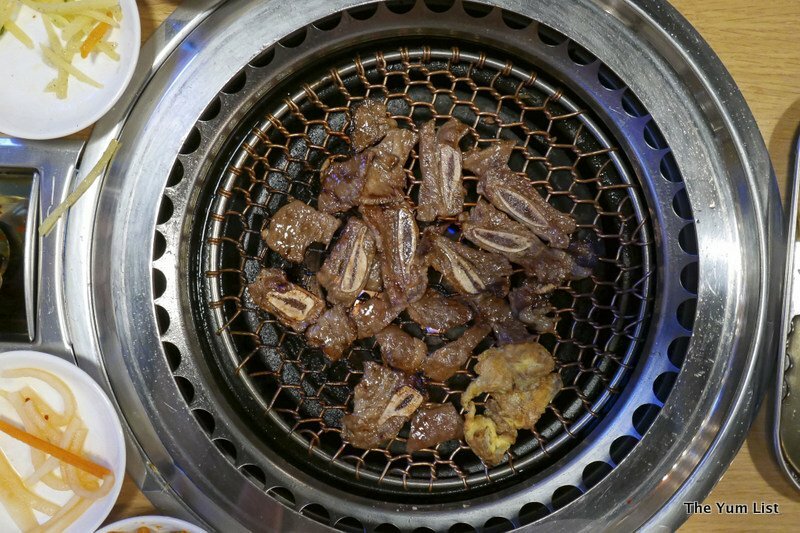 A fantastic first time for me, and a really enjoyable, high-quality dining experience for those who already have a love of Korean BBQs. Reasons to visit: The top quality meat really is the star of the show. You can choose to grill for yourself or enjoy the experienced chefs at the restaurant to you’re your meat to perfection. 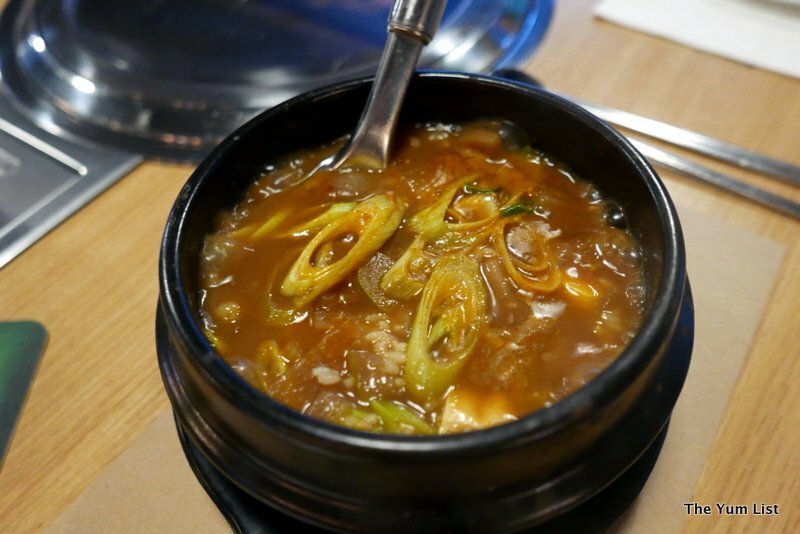 Experience a taste of Seoul without even getting on a plane. Not into Korean but the ladies love it! Have not been to a Korean barbecue for a while now, may do so one of these days. This place is right up my alley! I love Korean BBQ and all those side dishes. You get to try so many different and fascinating dishes, Monica! So beautiful post! Love so much your writing style and photos! I love Korean bbq but not the kim chi. Very nice and exclusive place! I’m fan of Korean BBQ and all side dishes.